The video is here. The free slides (Self-Help Template) are Here in Power Point and as a PDF. Once we get saved and receive the Holy Spirit, a hunger to find our Kingdom purpose is birthed. It starts with becoming a servant who can obey. It continues as we become students of His word and exercise our gifts. It peaks when we become His friends who collaborate and co-labor with our Father. Now we’re free to undertake initiatives because we know our heart and our Father’s heart are on the same page. The Lord is pulling the curtain back on a generation of young lions who are hungry to play their role in this coming reformation. They are excited, they have volunteered before the Lord, and their hearts are all asking the same question, “What can I do?” Jesus wants to answer that question Himself. Ask! – We believe we have a book and an important role before God. We give our hearts permission to try and find out what it is, and then act on the dreams and desires God has given us… not as easy as it sounds. Theology – Do you believe God can write His desires in our heart, so they feel like our own? …that he wants us to walk in initiative, boldly doing exploits so that He can say, “Well done!” Have you already experienced it? (Heb 8:10, 10:16 and Jer 31:31-34, Ezek 36:26-28) Releasing Kings. Courts of Heaven – The last thing the enemy wants you to be is, yourself (the man or women God intended). You would be too dangerous! So, it’s not surprising that past mistakes or even generation sin can mask or obstruct our book and our identity. Sometimes it takes intercession in the courts of heaven to identify the blockage and put it under Jesus’ forgiveness. Unlocking Destinies from the Courts of Heaven: Dissolving Curses That Delay and Deny our Futures is a good book on the Biblical basis by Robert Henderson. Beverley Watkins has a great practical tool to help learn how to pray, Metanoia Interactive Prayer Manual. I’ve used it and it’s alive. The rest is doing it and experiencing the leadership of the Holy Spirit in a spirit of prayer. It really is an experience in God’s presence that is better caught than taught. Themes in Your History – When we do find our why, we can see it operating in both our past, our present and even our future. Your why will unlock your dreams. God has a way of preparing us for decades as He molds us into maturity. We each have stories that shape our lives and give insight into our unique why. The negative experiences are the roots of vows or heart boundaries that must be undone before we are whole and free and courageous… able to take initiative. Resurrections – Most of us have a few stories of tragedies that God redeemed to make us stronger. These resurrections don’t make sense until after our deaths, failures and healing. Tragedy and success both shape us. There is delightful place of being thankful for God’s ability to work good out of our valleys and rejection. Those years are not wasted, they were preparation. Use them wisely from a grateful heart. A friend who sharpens (Pro 17:17) – Friends, mentors or coaches who know you, can help you sharpen your why statement, confirm what’s in your book and extend the borders of your tent. I just wrote another version of own why statement yesterday and shared it with a Terry Tyson. He added a whole dimension to it that I had forgotten. 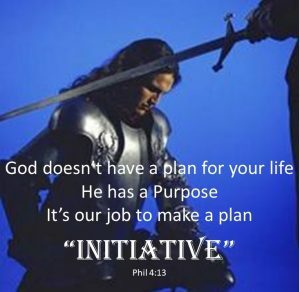 We use a Heart Plan Professional Development Program (HeartPlan.eu) to help people connect the dots between their story, their Kingdom purpose and what God is doing in the nations (reformation). Its powerful! Permission to Plan – A strategy to open your book and lots of good intentions mean nothing until your life purpose and your why statement are in writing along with the goals to make them happen. We’ve provided a self-help template and some examples to help you take the next step. Tribe – When we discover our why, we also find ourselves resonating with others who have a similar purpose. Hint – it’s not just sitting together in a pew! Kingdom is about nations, not nurture. It’s sharing the vision and the work to make a mutual dream come true… anywhere from a marriage to a corporation. The common denominator is the prophetic sense of purpose or calling. There is no sweeter fellowship than “working” together with those who have the same heart’s desire in the same mountain to make a difference… brothers, sisters, and Father. We can do anything, we just can’t do it alone. Here’s your assignment. Write your personal “why” Statement. The Self-Help template is actually “helpful” …and if you get stuck. I can help, or point you to someone else who can (johnsgarfield@gmail.com). In the Netherlands, it’s Marcel and Annemieke van den Berg. Bonus questions from Find Your Why by Simon Sinek. I thought these were very practical and helpful. I also enjoyed reading Start With Why… Secular books with Kingdom themes. Simon’s Ted Talk youtube video is famous and instructive. “Can I have more than one WHY? – Nope. Each of us has one WHY and one WHY only. The WHY is the one common thread that brings out the best in us and makes us feel the most fulfilled. As Simon often says, “If you’re different at work than you are at home, in one of those two places you’re lying.” Who we are at our core does not change depending on where we find ourselves. Can a business have a WHY? – Of course. Every business is an extension of the why in its CEO, the leadership team and the employees. God writes in the hearts of corporations too. Finding your corporate why has huge benefits in morale, marketing and management. Imagine leveraging the prophetic component in your why statement as your distinctive “Kingdom Brand” to connect with the hearts of employees and customers. People don’t buy what you’re selling, they buy your “why.” We recommend the concept of Corporate Heart Plans to discover your WHY. Can a nation have a WHY? – Yes! We just spent two weeks in the Netherlands helping clarify the national why (her Book). When we have a grasp on our own why, it’s really exciting to see it in the context of the purpose God has for our nation. When I’m in Europe I can feel my own calling / purpose / why magnified by the gifts and callings on the USA. To flow in that river is an amazing feeling. The great commission (our biggest why) is to disciple nations!